Hannah and a Tortie named Trinity. In her free time, Cheryl enjoys spending time with her husband, two grown children and painting. named Kevin. He comes to work with her every day. Stop in and say hi to Kevin, he loves to meet new people! Linny has volunteered at the Plymouth Animal Shelter for years. Linny enjoys any outdoor activity, swimming, kayaking, walking with Kevin and gardening. If Judy looks familiar to some of you, she should. 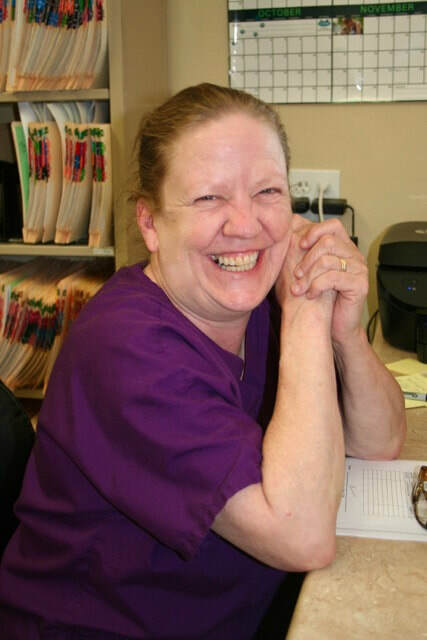 Judy worked with us for several years as our in-house groomer. most days. Judy does pet sitting, and lives with her two beautiful cats, Tilly and Lone Ranger and her energetic pup, Frankie. Amy started working part-time in a veterinary practice while attending The School of The Museum of Fine Arts. She has a pony, sheep, chickens, cats and a dog. Her favorite things to do are reading, knitting and gardening. Amy is thrilled to be back with the gang at Manomet!